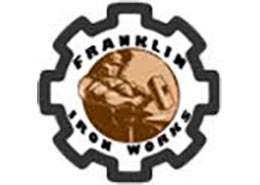 Franklin Iron Works has been in business in historic Franklin Tennessee for 27 years to serve Middle Tennessee’s needs. As specialists, we can take your needs into consideration and provide you with one of a kind products to protect and beautify your home or business. 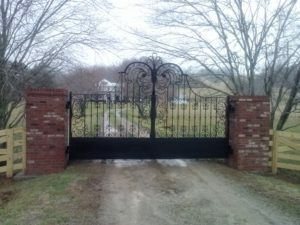 Wrought iron is preferred by most insurance companies for pool and home security. We have reasonable prices to fit everyone’s needs. 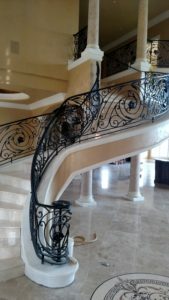 We specialize in fabrication and installation of interior and exterior handrails, mailboxes, fences, balcony rails, wall rails, entry gates, estate gates, and many other wrought iron products.